Hello, Dominic Matthews here from Ninja Theory. I wanted to come back to PlayStation.Blog to share our latest development diary with you and to also give an update on how things are progressing with the creation of our new PS4 title Hellblade. Back in August we announced Hellblade at PlayStation’s Gamescom Press Conference, which at the time was just 4 months into development. By traditional standards, we were announcing the game incredibly early in development. The reason for such an early announcement is that we want to share as much of Hellblade’s development with you as we possibly can. The standard approach is for games and their development to be hidden away, with details slowly drip fed to players very carefully and slowly over time. But we want to do the opposite. We announced early so that we could start sharing our development approach, creative exploration and decision making from the very beginning. Since Gamescom we’ve been updating our site with regular development diary videos, blog posts, concept art and live streams. We’ve released three development diaries to date, focused on the announcement trailer, Hellblade’s art inspiration and the game’s protagonist, Senua, respectively. Today, I’m very pleased to be sharing with you our very latest development diary, No. 4: Creating the World. 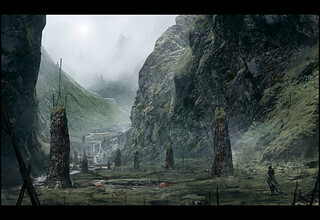 This episode focuses on the approach that we’re taking to create Hellblade’s world with just one Environment Artist and the artistic vision behind it. 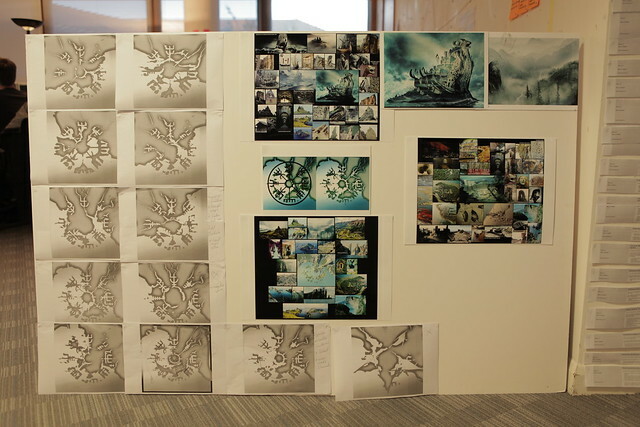 The Hellblade team, which consists of 13 people, is currently embarking on the prototyping phase of development. In prototyping we’ll be exploring game mechanics, art styles, and technologies. Despite the small team, this is probably our most ambitious game yet. 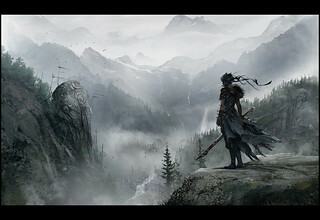 We are leaping into the unknown and overturning much of what we know about game making to make Hellblade play, look and feel special. Thanks a lot for reading, I hope to come back soon, but in the meantime I hope you follow our journey, get involved in the discussions and let us know what you think of our work so far. The journey is very much a part of the Hellblade experience. Looking great enjoyed all of your games. Hopefully soon we can start seeing some more pictures of the environment and more pictures of the world and surroundings. You guys really do make some of the best games, but I worry that there are going to be missed opportunities here with only one person creating the world, no matter how skilled he is. You explained that budget is limited, but I can’t understand why Sony isn’t being more helpful – if at all – after you have brought them/us outstanding and memorable games like Enslaved and Heavenly Sword. Dan shouldn’t feel the need to use procedural tricks and reuse things. Sony, give this studio some funding and get Dan some help! Coming from Ninja Theory, Hellblade has the potential to be one of the best games of this generation. I would buy an Heavenly Blade HD Remaster. Especially since you never went back and added Trophies. I’m impressed. Doing this much with such a small team. IF they can pull this off it will send a message to development studios about the quality of their work. And to publishers about who they back. 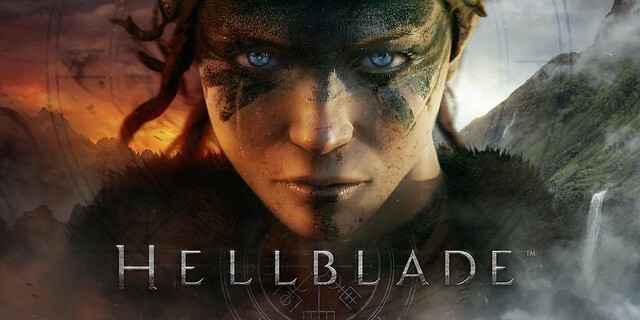 Really can’t wait for Hellblade! It looks phenomenal. This looks awesome. I have been a huge fan of all of Ninja Theory’s games. Sony really should partner with them on this project and make it a PS4 exclusive and get them greater resources. Really looking forward to this game. It has all the ingredients to be a masterpiece. Can’t wait! Oh man, this is one of the PS4 games that I am most excited about. However, it is odd to hear Sony isn’t offering more support. So there are no designers? Its all art? I’m a bit concerned. Are these artists taking gameplay elements into account? A game is more than just battling through pretty vistas, interaction is important with the environment…… Puzzles? This game looks like it’ll be very pretty, but weak gameplay is what hurt Heavenly Sword. Enslaved, DmC and Heavenly Sword were great games, looking forward to playing Hellblade when it comes out. This game is really looking pretty incredible. I love Norse mythology. definitely one of my favorite time periods. Want it! Love these developer-centric videos. It’s great to see a small team find creative ways to get the most out of their project. I’ve been a huge Ninja Theory fan since Heavenly Sword and you guys have improved with each new game. I’m so ready for this. Ninja Theory thank you for this one. A kidney for a Heavenly Sword sequel!!!!!!!!! 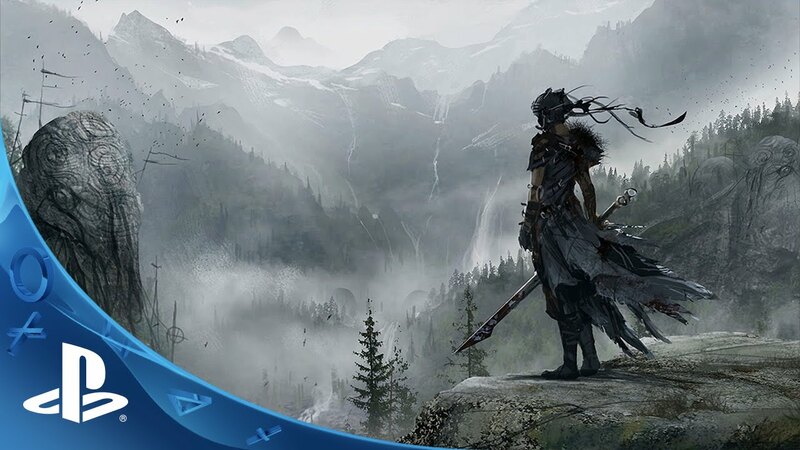 Excited for #Hellblade to be complete. Take your time and get it right. I’m excited for the open world and to explorer each corner of the land. Hope great ideas are forged into this game. Would of been nice to have a larger scale Environment team but as long as the design and layout’s are right everything will follow. Looking to buy this game when it’s finished. Excited to see more video’s like this. Keep pushing the limit’s team NinjaTheory. Keep close to the community as well for idea’s. We got your back. +1 to post #5 & #7. Maybe you should allow Sony to put the original PS3 version on PSN. I know I have been waiting for it, after losing my last retail copy. It would be a keeper, alongside of Enslaved. Sorry was referring to a digital copy of Heavenly Sword. Hey pretty cool…I’m looking forward to see some gameplay of this game….I hope it turns out as a damn great hack n’ slash….and continue posting dev diaries. This looks great! I love the approach they have to this game and how they reveal things in a development diary. Major Kudos! I have no idea why I needed to enter my date of birth to watch the video but the game surely has my attention now! Guess I’m the only person here who isn’t a huge Ninja Theory fan. I’ll give it a shot like everything else but I’m not getting my hopes up. How is this NOT Heavenly Sword II? I’m sorry, but this just reminds me of what should’ve been. Dev diary’s during development are very insightful! Seriously looking forward to this one! Cool to see a graphically impressive game done with such a small crew. It’s looking really promising so far. I know Sony and Ninja Theory hasn’t been real friendly since after Heavenly Sword, and them parting the way they did, however, I believe this project could be the link that brings them back to friendly terms. Sony should really think about helping them on this project. Who knows if things go well we might actually get word on a new Heavenly Sword game. I’m an ENORMOUS Heavenly Sword fan. It’s still one of my all-time favorites. I love how the name of this game is antithetic to Heavenly Sword. Also, the face paint on the protagonist is reminiscent of Kai’s. I hope there are several throwbacks or direct links to HS in this title, but I am already VERY excited to play this title for what it offers all on its own. It’s pretty interesting to see professionals working with Unreal Engine. Looks like a nice world so far. Interested to see how it ends up being since the world is created first. @ 32 Arcell_Garza – I’m not their fan either…the only really good game they made was Enslaved,and it wasn’t enough to become a fan….but I’m expecting great things from Hellblade.